This week, I had a couple of girlfriends over and decided we would spend the morning catching up and crafting. Since it was the beginning of February, I decided Valentine’s Day decorations would be the perfect crafting fun for our group. One quick stop to our local craft store and I had all the necessary supplies to create adorable Mason Jar Valentine Candle Holders. 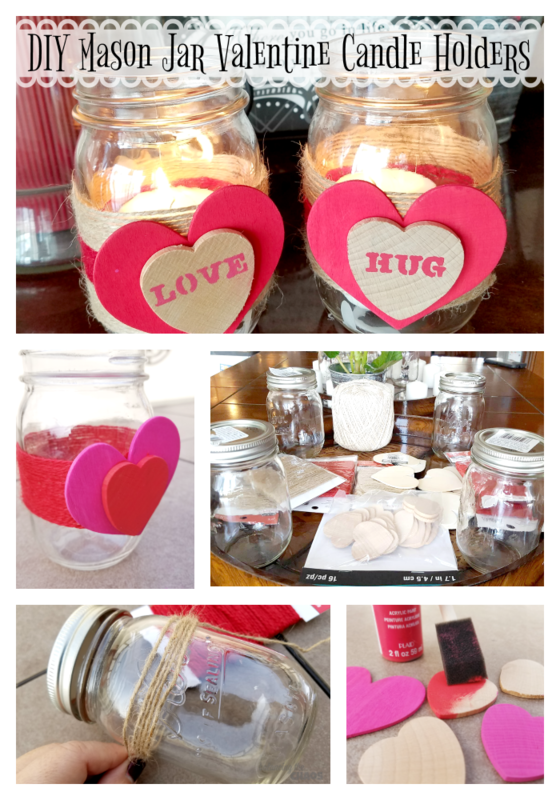 For our DIY Mason Jar Valentine Candle Holders, I picked up a few of the smaller sized mason jars, twine, candles, wood heart cut outs, acrylic paint, stencil, a glue gun and glue, and a little glitter. 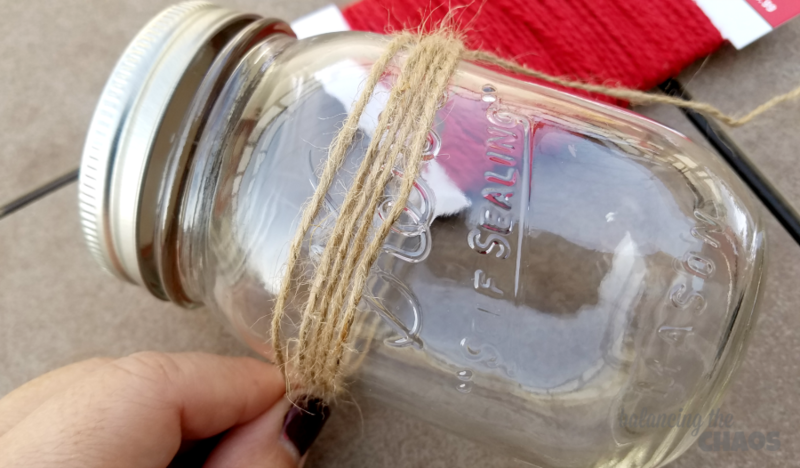 Start with a mason jar of any size, a little hot glue from a glue gun and twine and wrap the twine around the jar. Once we reached the exact with we wanted, we used the hot glue to adhere the twine to the jar. For different variations, we added red twine to give it a festive pop of color. Next I painted a couple of wood heart cut outs with red and pink acrylic paint and added a stenciled “hug” or “love”. One of my girlfriends added glitter to jazz up her hearts. 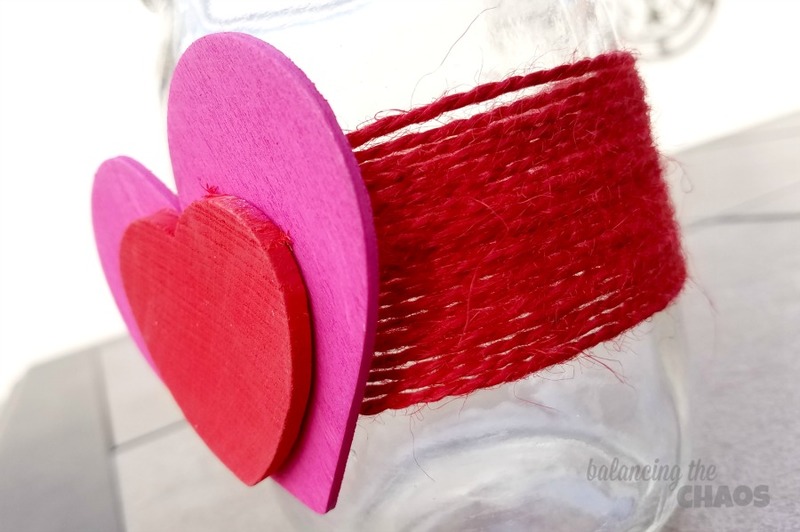 Once the hearts were dry, we glued them on to the twine that was attached to the mason jar. 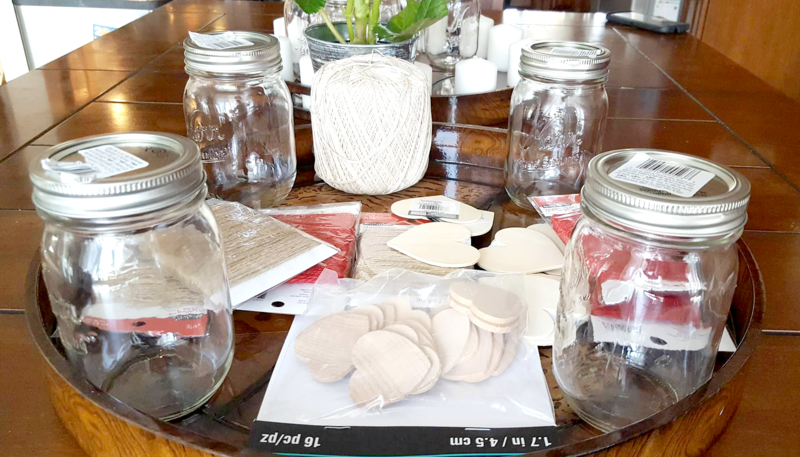 To finish off our mason jar valentine candle holders, we added a white candle that was a little bigger than the size of a votive. 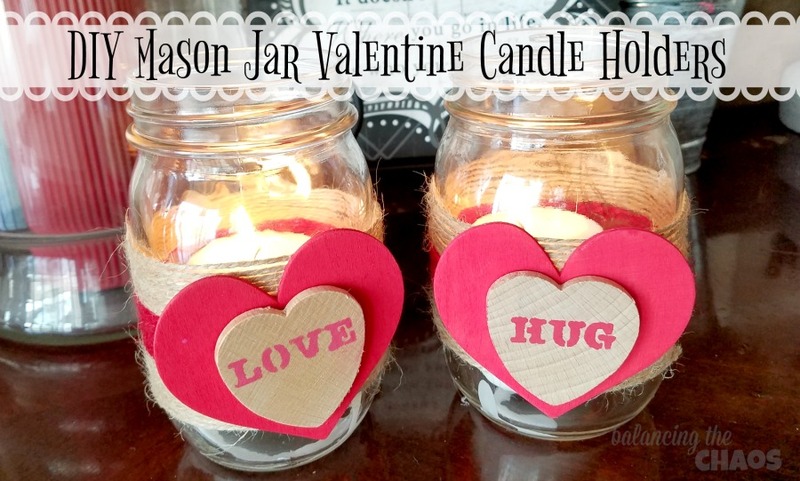 Our DIY mason jar Valentine candle holders are quite easy, and can actually be used for any occasion. If you stick with neutral colors, it’s a timeless decoration that can be on display all year long. In fact, if you pair the smaller mason jars with the larger ones, it’s be quite a beautiful centerpiece or even corner accent.